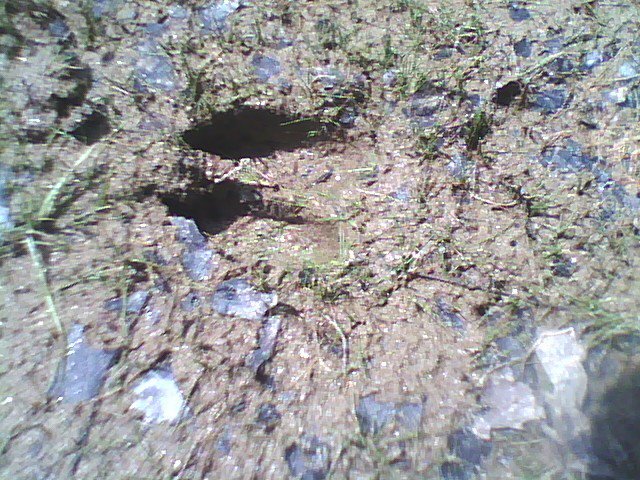 This is, for those who don’t know, a deer hoof print. This is fairly thick mud though so you might not see something as clear as this. At a later date, I’ll add a picture of the (dung) or maybe in a separate post so you’ll know what you’re seeing when you see it. I’m going to try and start having posting pictures in posts to use as field guides. Oh, and this was taken along the shore at Pig Tail Recreation Area. This entry was posted in Field Guides, Red Foxes (Animal Category) and tagged Deer, Feild Guide, Hoof Prints, Pig Tail Recreation Area, Red Foxes (Animal Category), whitetail deer. Bookmark the permalink.